Next time that someone complains about fences being omitted owing to the low sun, remind them of the 2017 bet365 Charlie Hall Chase. When somebody says it's 'health and safety gone mad', tell them of the day the blinding effects of the light may have stopped the two market leaders even getting round. Neither Coneygree nor Cue Card, both experienced and top-class chasers, completed the course – and the finger of blame was pointed at the low-lying sun in both cases. 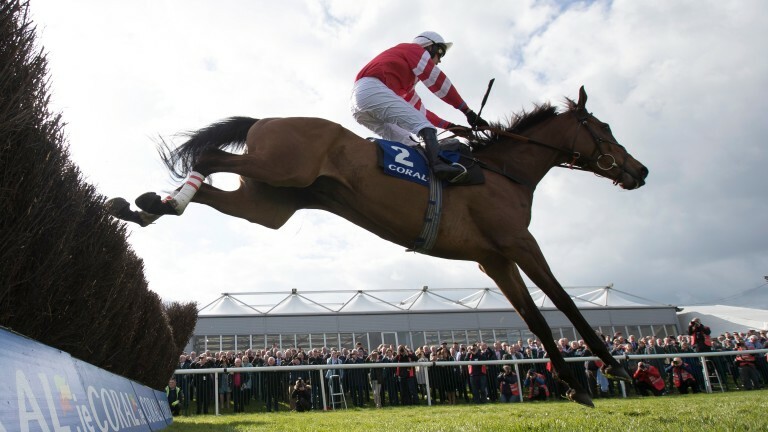 Coneygree, the 2015 Cheltenham Gold Cup winner, took off much too early at the first ditch, the third fence overall, which is halfway down the back straight. That is reckoned to have unnerved him as he lost his confidence and he was pulled up by Nico de Boinville with a circuit to go. He was found to have an overreach on his left-fore, and trainer Mark Bradstock's wife Sara said: "He stood off miles from the ditch and he doesn't do that, he's a professional and he doesn't like to get things wrong. He scared himself. He just didn't want to jump then. "Nico said the only reason could be that the sun was very bright. We go back to the drawing board with a lot of schooling on the grass – all his schooling has been on the all-weather and that might have made him easier to distract by the sun." Cue Card fell at the last fence in the back straight on the final circuit, five from home, and again the low sun was blamed. "He took his eye off it, said jockey Paddy Brennan. "Early on in the race he was a bit sluggish but once I got him up there down the back I was happier. "But fallers don't win races. He was all right and there's always another day." That will be the main message for the huge number of fans of Cue Card and Coneygree, who not surprisingly was eased for the Timico-backed Cheltenham Gold Cup to 25-1 (from 16) by Coral and Sky Bet. Cue Card remained as big as 40-1 for the Gold Cup, while he is a general 25-1 shot for the Ryanair Chase, connections having mentioned that the shorter race could ultimately be his target at Cheltenham. Both big guns can be backed at 25-1 for the King George VI Chase at Kempton on Boxing Day.